Happy Resurrection Sunday! I promised you a special post today, so this is our follow up from Friday. Here is one more video by The Skit Guys. I am including the link here because the video didn't show up in email feeds for some reason. This video portrays a conversation between Jesus and Peter AFTER Jesus' resurrection. It defines grace... Jesus is the lamb that was slain for us. His blood washes us clean. It is a gift that we must choose to except, and He gives it freely. Ephesians 2:8-9 - "For it is by grace you have been saved, through faith—and this is not from yourselves, it is the gift of God— not by works, so that no one can boast." Mark 16:1-8 - "When the Sabbath was over, Mary Magdalene, Mary the mother of James, and Salome bought spices so that they might go to anoint Jesus' body. Very early on the first day of the week, just after sunrise, they were on their way to the tomb and they asked each other, "Who will roll the stone away from the entrance of the tomb?" "Don't be alarmed," he said. "You are looking for Jesus the Nazarene, who was crucified. He has risen! He is not here. See the place where they laid him. But go, tell his disciples and Peter, 'He is going ahead of you into Galilee. 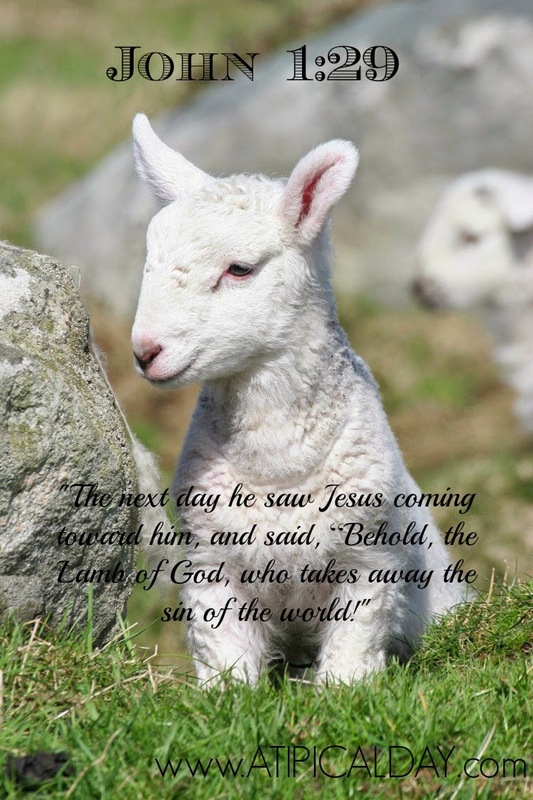 There you will see him, just as he told you.' "
“Yes, Lord,” he said, “you know that I love you." How can I be praying for you this week? If you would like to know more about the saving grace of Jesus Christ, please email me. I would love to talk to you more about the greatest gift ever given. YES! He has risen. Hope you had a blessed Sunday! Thank you Lara! Hope you had a wonderful Easter.